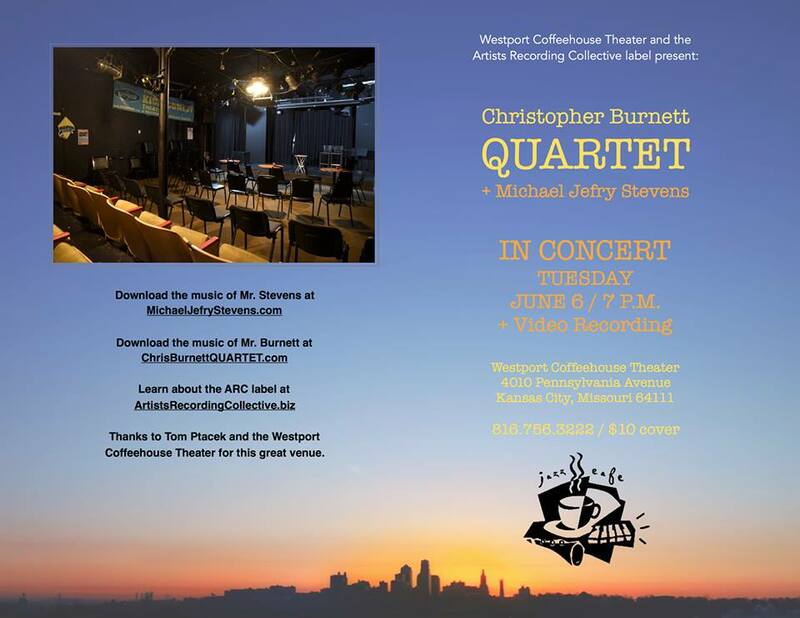 The Christopher Burnett Quartet with special guest, pianist Michael Jefrey Stevens, will be performing at the Westport Coffeehouse Theater in Kansas City, Missouri, on June 6. Tickets are $10 at the door for local audiences and $5 to watch the live webcast online from anywhere around the world. The live webcast of the concert will be made available through the Concert Window platform at this link: https://www.concertwindow.com/cbjazz.